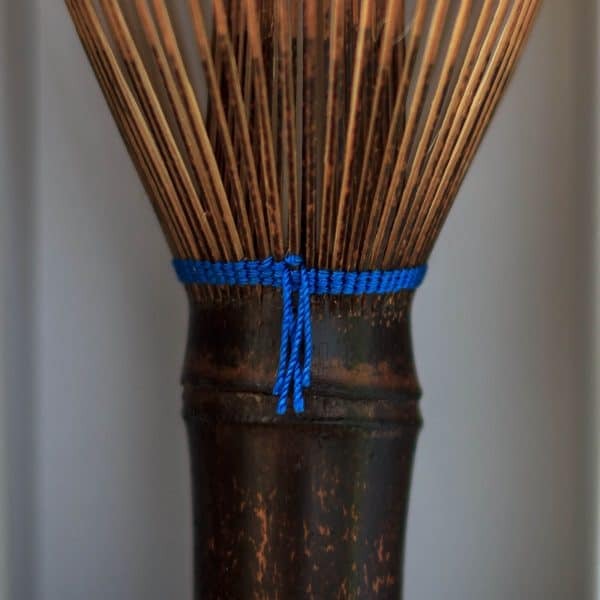 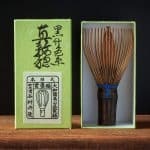 Finished with unique blue coloured string, this 70 prong Chasen has been hand made by 20th generation Master Bamboo Whisk Craftsman Tango Tanimura. 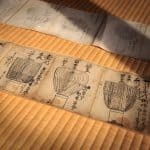 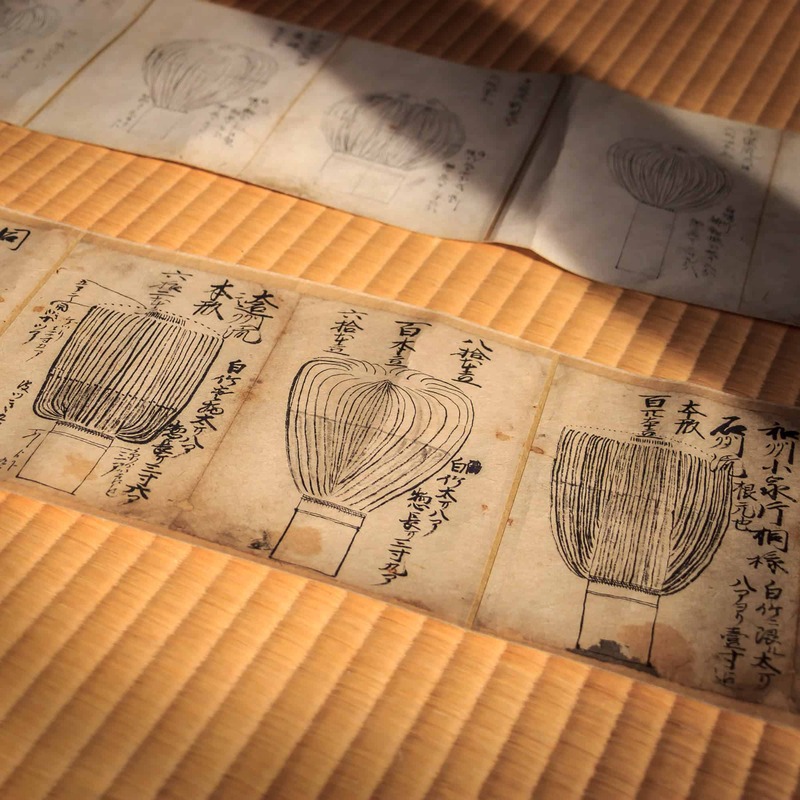 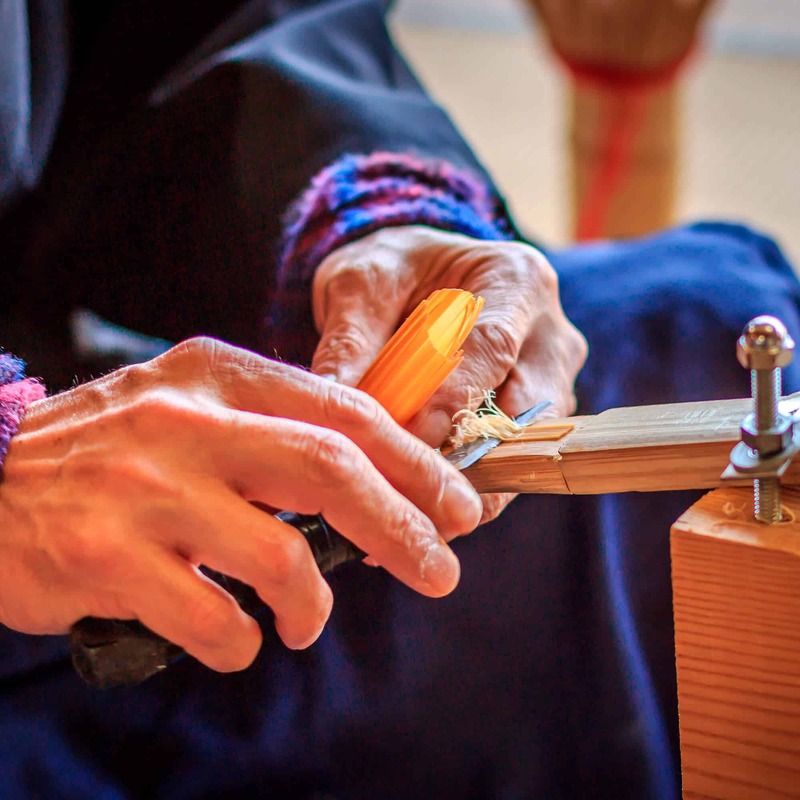 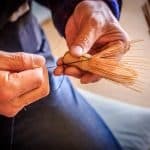 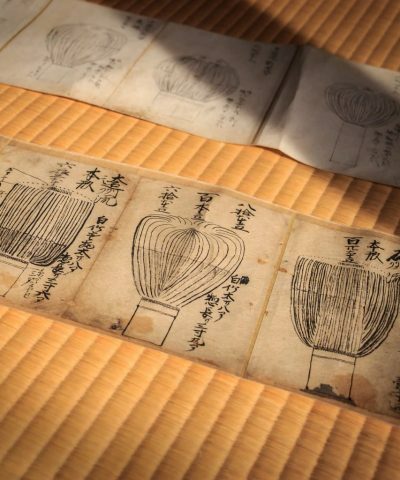 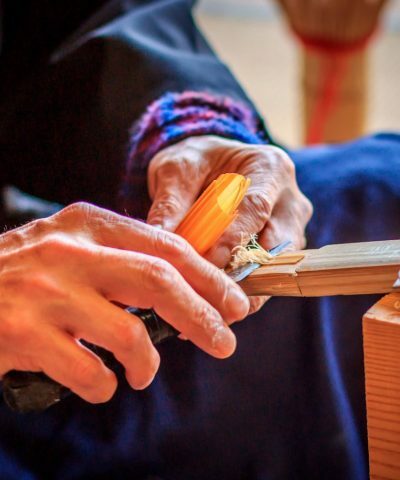 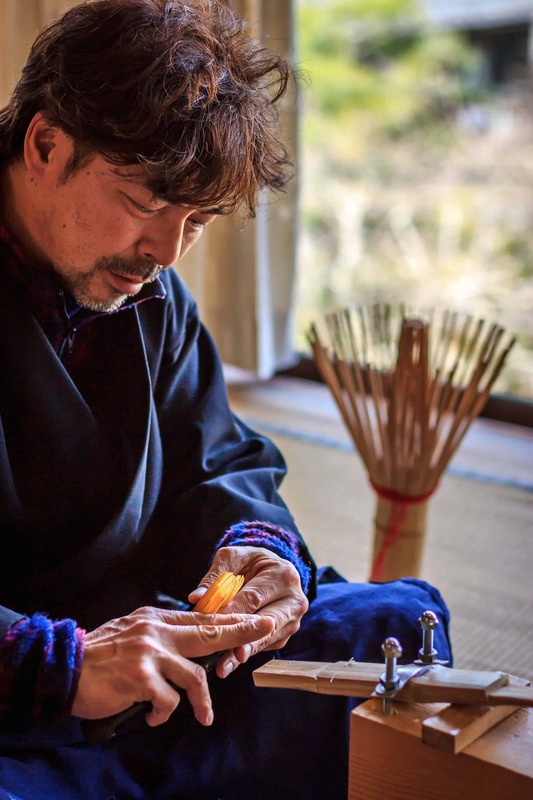 His family’s history of crafting Chasen even predates the famous Sen no-Rikyu, renowned as father of the three major Japanese tea schools. 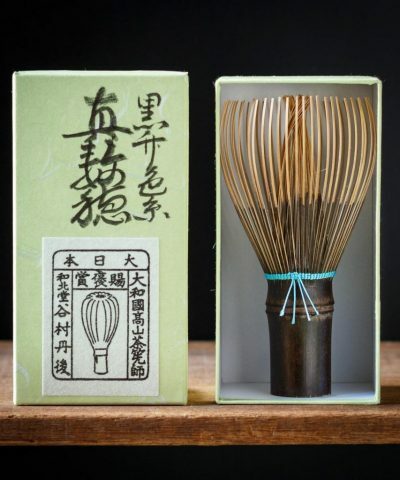 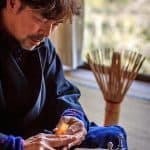 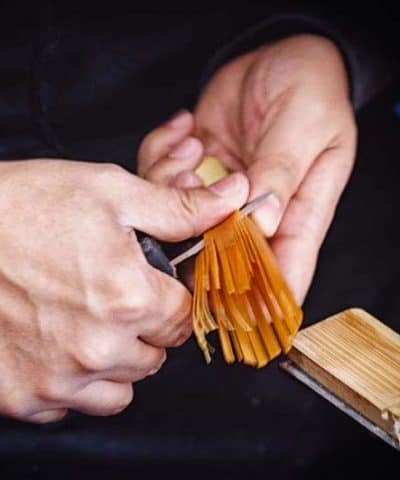 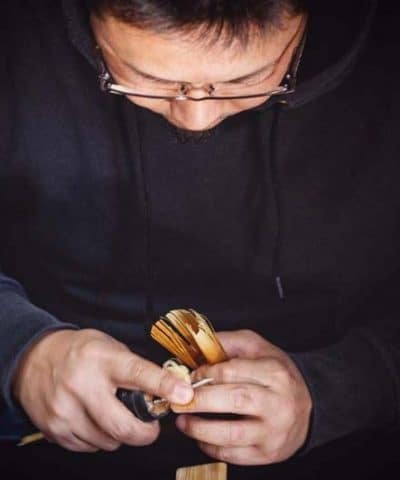 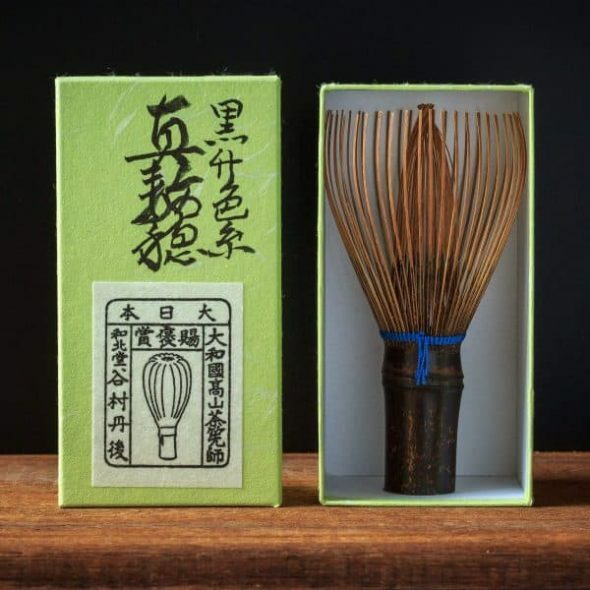 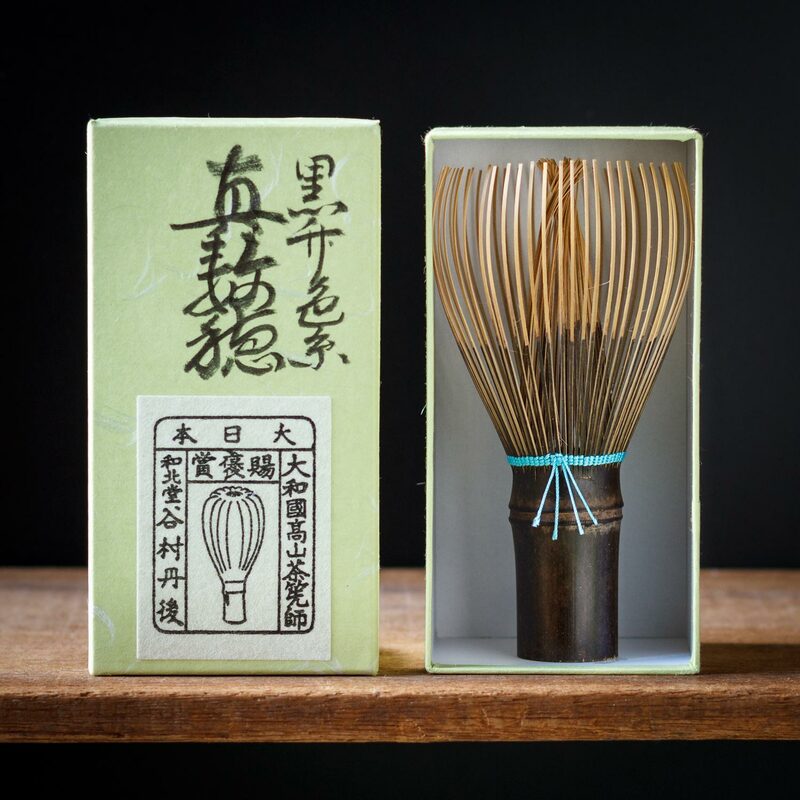 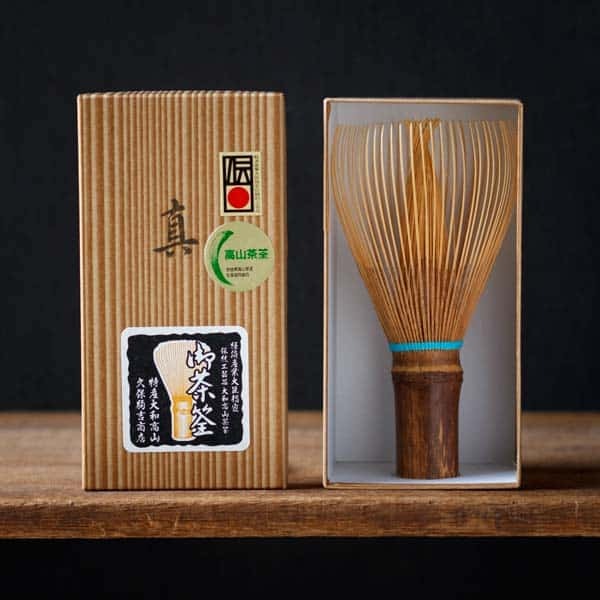 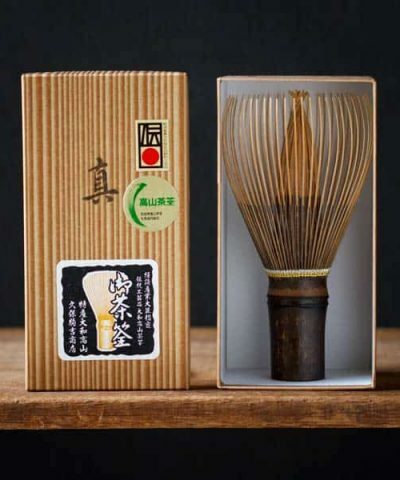 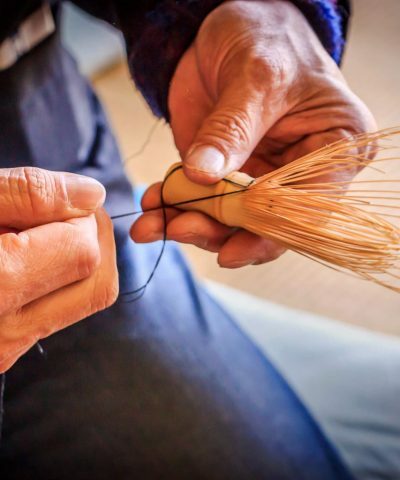 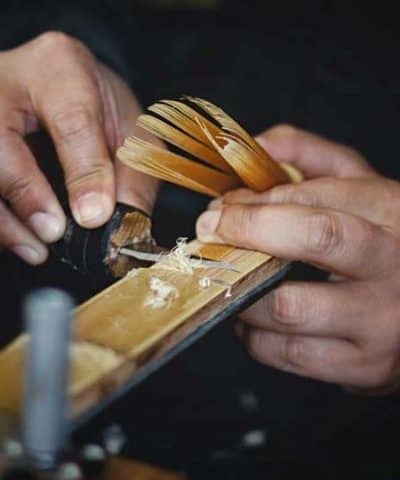 Sculpted from rare black Hachiku bamboo that has been seasoned for around 3 years, this beautiful implement is designed for those practicing the Omotesenke style of tea ceremony, or anyone who wants an even and silky foam on the surface of their matcha tea. 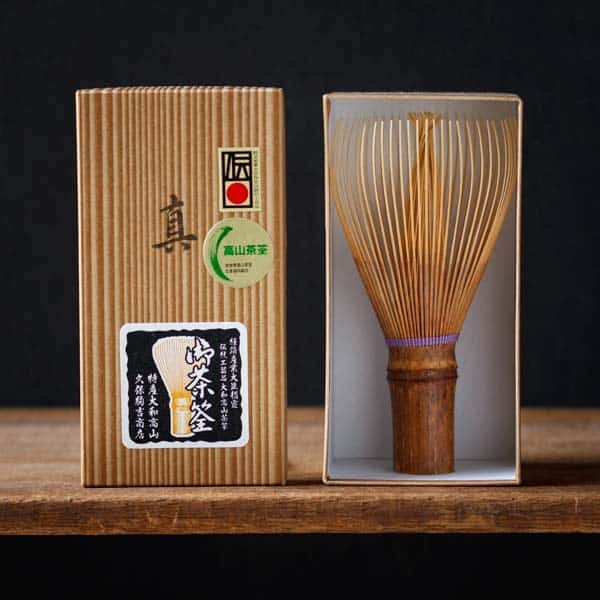 Today I tried the Ceremonial Grade Matcha I bought from Kototea. 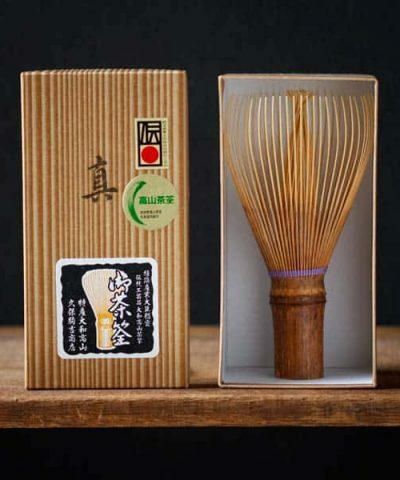 It's delicious: the taste mellow and round. 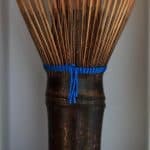 The yellow thread chasen is lovely and cheerful! 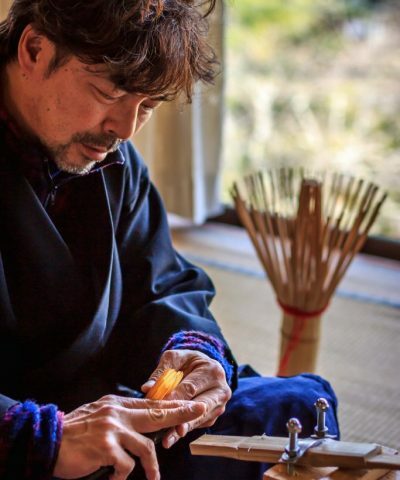 Tanimura-san's work is amazing!! 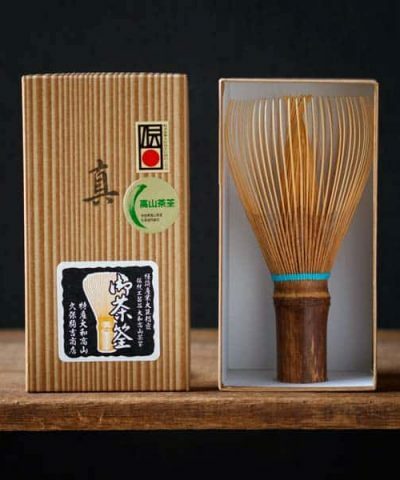 I will surely use it for special occasions.